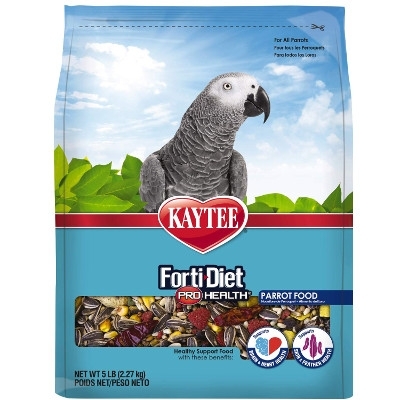 Kaytee Forti-Diet Pro Health Parrot Food, 5 lbs. Kaytee Forti-Diet Pro Health Parrot food was developed by an avian nutritional expert to ensure your pet gets the proper nutrition. Forti-Diet Pro Health contains probiotics and prebiotics to support digestive health. This food is rich in natural antioxidants for general health and immune support plus contains pieces to support skin and feather health.